Stampy and a cake. 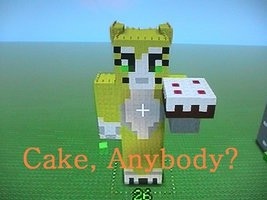 I made this for toi stampy I hope toi like it. Wallpaper and background images in the StrampyLongNose club tagged: photo 😊. Why no-one like my minecraft stampy!